Do you know you can do nothing after your death? Therefore, financial planning for your death must start when you are alive. It may sound unkind, but death is the ultimate future of every living being. If you plan better it is good for your spouse, if you don’t, well, hardship she will be subjected to will be huge. Imagine the plight of your spouse when she is already subjected to massive emotional low due to the death of a loving husband. Financial Planning is not only about how much life insurance you need (Of course you need an adequate term plan). It is also about how you plan your assets get transferred to the beneficiary easily after you die. Here is a list of things you should keep in place for a smooth transition of your wealth to your loved ones. Always have a practice of investing in joint name with your spouse. (You may assess the risk of divorce, trust, and claim etc.) Joint names and operation mode as either-or survivor ease the after-death investment liquidation procedures. Keep all your investments in mutual funds, shares, banks fixed deposits, post office, life insurance up-to-date KYC compliant. Non-KYC compliant investments will entail a procedure, delays, and frustration. This is very important. All your investments should have the names of Nominees. This eases the process of investment liquidation and transfer of assets after the death of the owner. All investments without names of a nominee, require executed Will to get the investment liquidated/transferred. This prolongs the process. Many time investments are made years ago, and the bank account mentioned in the form has changed. Check all your investments and insurance policies to update the bank accounts details. This is an important document mostly ignored. This enables thoughtful wealth distribution when you are alive. After your death, Will helps in avoiding litigation and hardship. Will is a document where all your assets are mentioned so chances of misappropriation or ignorance reduce. Keep all your financial documents like property agreements, balance sheet, income tax papers, investment details, DMat and bank account details, Fixed deposits, other non-Dmat investment certificates, life and health insurance policies, vehicle RC book, original PAN and Aadhar Cards, Passport etc. handy and within the knowledge of your spouse. At least have copies of these documents with the spouse. All loans taken and given should be informed to the spouse. Its tenure, interest rate, repayment terms, assets mortgaged, original sanction letter, name and address of private loans, must be documented and informed to the spouse. Most of the financial transaction done these days are online. Share with your spouse user IDs and password of all your online bank accounts, Dmat accounts, credit cards, other payment gateways like PayTM, UPI etc. If you deal e-commerce business on the sites like Amazon, Flipkart inform the process and login ID – password to your spouse. All your business interest i.e. share in a partnership firm, proprietary business, directorship, and shares in private companies must be documented and informed to the spouse. Make a list with contact details of important professionals like CA, Investment Advisor, lawyer, insurance advisor, and close family member to approach for professional guidance. In short, it is pertinent to make your spouse financially literate about your financial affairs. If you think you are too young to die, make spouse’s financial literacy a practice from today. Discuss and inform all your financial decisions and actions with her. Let her know what you own and owe. Keep all the financial documents at a place known to her. If you have crossed your 50s, the above aspects must assume your immediate priority. Remember you have spent your prime time of life in earning these assets. Plan and provision to put it to the best use for which you bartered it for life. Woman’s day is around. Make it special by planning to give her ease of living after your death. If you are a wife and do not know anything mentioned above, empower yourself to make yourself financially literate about your own finances. Ask your husband to act Today. 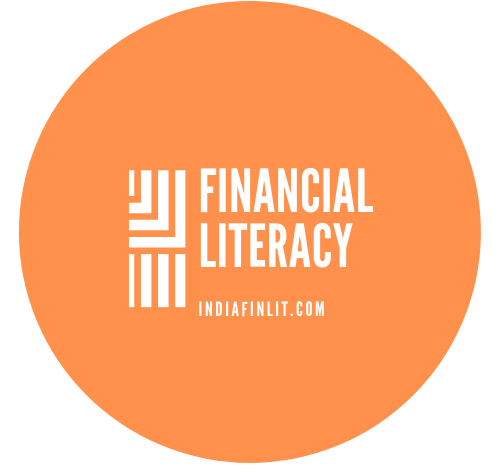 Watch this one-hour eye opener video on Financial Literacy for Women by a leading Financial Journalist Sucheta Dalal. ‹ PreviousEconomy, Union Budget, and Your Ignorance. What You MUST Know? Next ›Why Do Entrepreneurs Need to Save for Personal Obligations?